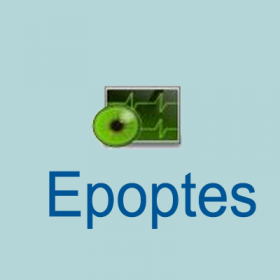 Epoptes can be installed in Ubuntu, Debian and openSUSE based labs that may contain any combination of the following: LTSP servers, thin and fatclients, non LTSP servers, standalone workstations, NX or XDMCP clients etc.It’s a partial rewrite of an older application called sch-scripts, which has been successfully used the last year in about 250 Greek schools. Epoptes already has a lot of features, but a lot more are planned, and it’s being developed at a very fast pace. It’s maintained by IT teachers and students, so it should be around for a long time!